anyone can send me an invite? 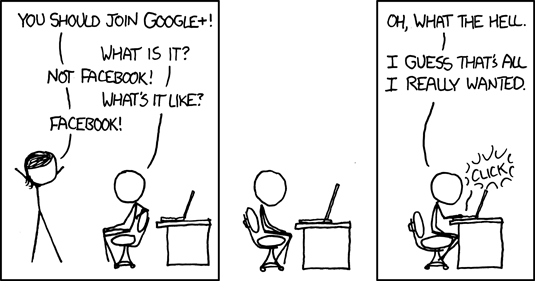 What is google plus anyway? Heh, I remember a few years ago that facebook was still very small. It was all about myspace back then and facebook was deemed the more classy one pretty much because it wasn't filled with everybody. So then what way will google plus go? Will people see it as a rip-off of facebook? Will it be filled with loads of die-hard google fans? Or will it be able to compete? I don't like social media though, so I am a bit skeptical about it.